With each module you get a video (my desktop point-by-point presentations), the .mp3 audio of each lesson (great to load into mp3 player so you can take me on the road!) AND the .pdf of the presentation itself. The videos are available for download in MP4, .AVI or mobile .MV4 in case you wish to view it in your smartphone or tablet. Some modules also come with various additional .pdf "homework" reports related to that week's topic. Module 1: What fasting is and what fasting is not. Clarifying your goals and expectations. Different Fasting Types. How much weight will I lose in how much time? Am I prepared to pay the price? Robert's story - to hell & back. Q&A. Homework Bonus: Twenty Questions to Help You Break Negative Eating Habits & Position You to Succeed: This report will present you with a series of questions designed to help you clarify and sharpen your goals and vision. Fasting is mostly a "mental" task and having our dreams, goals and desires in writing is by far the biggest weapon against hunger pangs, emotional upheavals and detox symptoms. Module 2:The power of cleansing and liquid diets. Recipes you can use. The phytochemicals in fruits and vegetables and how juice fasting can harness them for detoxification and healing. Q&A. Module 3:Water fasting and dry fasting; definition and benefits. Common detox symptoms and tips to lessen them.Q&A. 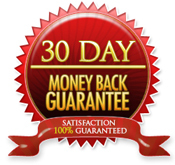 Rapid Weight Loss & Detoxification through 30-Day Intermittent Fasting & Home Enemas Bonus. This report talks about the benefits of coffee enemas and how, in combination with intermittent fasting, they can accelerate weight loss and body cleansing. Module 4:Five Intermittent Fasting Methods You Can Use. Going The Distance: Leveraging The R.A.P.I.D technique to overcome fasting hunger-detox symptoms and reach all of your goals. Q&A. Module 5:Thirty-day plan for breaking a fast including sample menus, as well as more tips to help you to overcome hunger and temptation.Q&A. Downloadable vegetarian Protein-rich Foods Chart. Module 6:Fasting & The Metabolism: How to Speed Up Your Metabolism and Keep The Weight Off After Fasting. Fasting & Muscle Loss. Final Q&A. Complex Carbohydrates Chart. Simple Carbohydrates Chart. I know the easiest way to create an irrestible offer is to give you more value than you can get anywhere else. Bonus #1 - How To Fit Exercise Into Your Busy Schedule And Make Fasting Twice As Effective. After a lot of thought, and because this is the first time I've ever offered this kind of personal coaching, I've decided to offer this entire 6-modules and all of the bonuses for just $12. I believe very strongly in overdelivering quality and value. And I feel that at this low price pretty much everyone can have access to the life-changing disciplines that are discussed in the modules. I'm giving you a very large amount of valuable material that can literally change the course of your life - IF you are willing to work at it and remain committed to improving the quality of your life and health. Truth be told, I should be selling this for $297 or more, but here is why I'm not. The fact is, I simply want you to be totally blown away by what I share with you in this coaching program, so in the future, if I offer you any other products I've created, you'll be much more likely to say yes. Secondly, this is a labor of love for me. I myself went to hell & back with food, obesity and depression, so sharing the awesome solution that I found through fasting is something that I truly cherish. Yes, everyone has to survive and make a living somehow, and to me it is a privilege to receive based on what I give. But, to be sure, money isn't my primary concern. And finally, I feel I have a moral obligation to share this information in a format that allows you to actually get results. Now I'm guessing you're a pretty smart person, and you could probably figure this all out on your own... eventually. But judging by the huge number of questions I receive, the right information is hard to come by, and it takes a lot of time to sort out the facts from the fiction. So this training is like handing you the combination to a safe that took me many years to crack. Rather than you taking years of trial and error to work it all out for yourself, you'll have everything you need to know at your fingertips to use over and over again. If you don't feel like you've already gotten double your money's worth, then contact me right away and I'll return every penny of your purchase to you quietly and promptly. Your Money Will Be Returned By Paypal At The Click Of A Mouse Button If You're Unhappy. I have poured my heart & soul into this program. I feel certain that you are going to receive a lot out of it! Get the entire Fasting Masterclass package (including the .PDF, audio and videos, as well as all of the bonuses and unnanounced goodies) for just a one-time payment of $12.